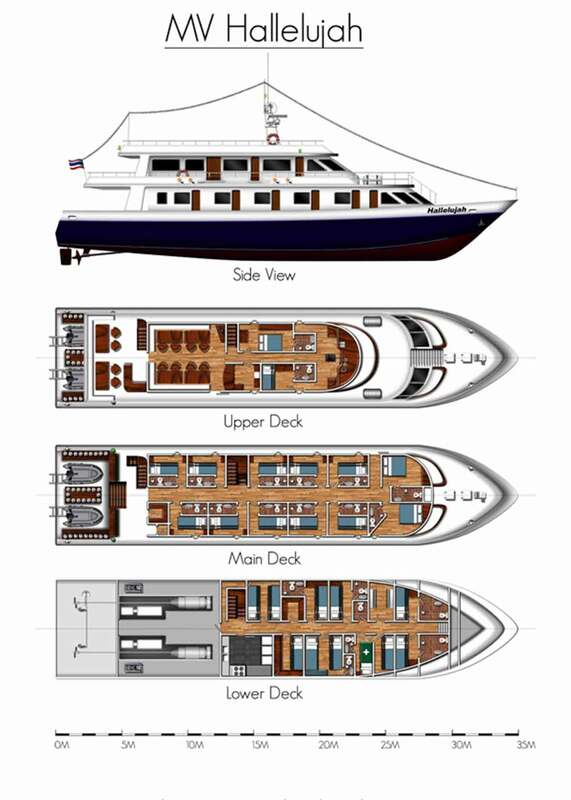 The MV Hallelujah liveaboard is 35 meters (115 feet) in length with a beam of 5.5 meters (18 feet.) She takes 25 passengers plus crew. She cruises at 10 knots. Hallelujah carries plenty of fresh water and fuel to enable her to easily conduct week-long liveaboard scuba diving itineraries and has a water maker on board. Her itineraries include the Similan Islands, Koh Bon, Koh Tachai and Richelieu Rock in Thailand. Hallelujah Thailand liveaboard carries safety equipment for safe passage at sea including first aid kits, Oxygen, a DAN oxygen kit, two SOLAS life rafts, and SOLAS life jackets. Her communication gear includes VHF radios, CB radios, a GPS, radar, echo sounder and mobile telephones. She offers Nitrox. She has both indoor and outdoor comfortable saloon common areas. You’ll be served five meals and snacks per day on board. Hallelujah has one single occupancy deluxe cabin, four double bed and 10 twin bed bunk bed cabins for a total of 25 divers and snorkelers per trip. Hallelujah Thailand liveaboard operates in Thailand from October until May each year. Similan, Koh Bon, Koh Tachai and Richelieu Rock trips are four-days and four-nights. She is available for individual bookings as well as charter cruises. Individual prices are listed below in the schedules. Please contact us for charter prices. All departures are from Phuket, Thailand, serviced by Phuket International Airport. The vessel departs from Thap Lamu, the port just north of Phuket. Transfers are arranged to and from your hotel or the airport to the boat on departure day free of charge. See the itinerary below for guest pick up times. Similan – Richelieu four-day trip national park fees are 1800 THB payable on board. 15 liter tanks are available for rent. If you’re flying in on the date of departure, please plan on landing at the airport by 16:30 no later. Earlier for international flights. The meeting point is in front of GATE 3-4 at HKT international terminal. It’s a short walk from domestic terminal to international. The pick up time is fixed at 17:30-18:00. 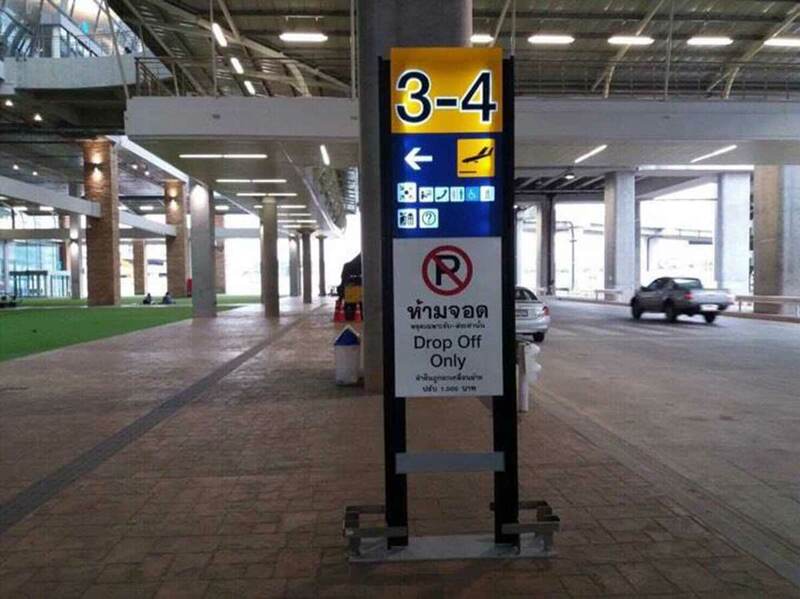 If you are unable to adhere to these times, a private taxi will be around 1600 baht per car.